According to a Airports Authority of India (AAI) official, the civilian terminal of the Hindon airport will see the beginning of commercial flight operations from April-end. The new civil terminal at Hindon Airbase in Ghaziabad is likely to start operations by April-end. There is something to cheer for flyers in Delhi-NCR as they can soon take flights from Hindon Airport. The new civil terminal at Hindon Airbase in Ghaziabad, which was inaugurated by Prime Minister Narendra Modi earlier this month, is likely to start operations by April-end. According to a Airports Authority of India (AAI) official, the civilian terminal of the Hindon airport will see the beginning of commercial flight operations, under the Ude Desh ke Aam Nagrik (UDAN) scheme, from April-end. The UDAN connectivity scheme seeks to connect the farthest corners of the country through flights at an affordable cost. Air travellers from Delhi, Noida, and Ghaziabad can board flights from Ghaziabad itself, instead of going to Delhi Indira Gandhi International Airport, which is one the busiest aerodrome in the country. On March 8, the PM Modi had inaugurated the new civil enclave at Hindon airport in the presence of Uttar Pradesh Governor Ram Naik, Chief Minister Yogi Adityanath and Union Civil Aviation Minister Suresh Prabhu. 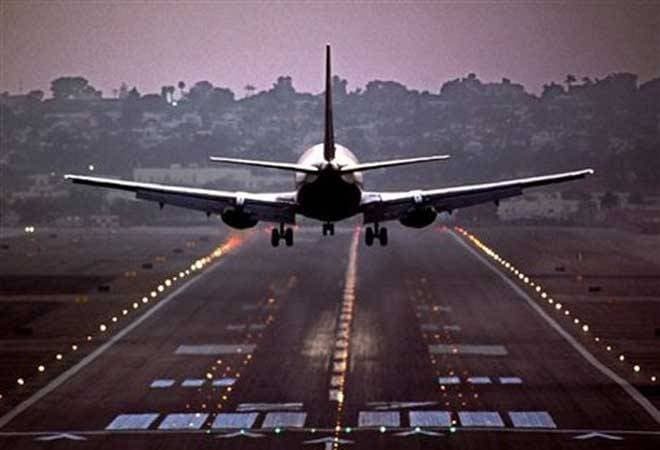 The airport will have flights to eight destinations, including Nasik (Maharashtra), Pithoragarh (Uttarakhand), Kannur (Kerala), Hubli, Kalaburgi (Karnataka), Faizabad (Uttar Pradesh), Shimla (Himachal Pradesh) and Jamnagar (Gujarat). Regional connectivity flights will also see an increase in number from Hindon gradually. Apart from the eight mentioned, other routes awarded from the airbase include Lucknow-Hindon-Gorakhpur-Allahabad, Hindon-Allahabad-Kolkata, Ozar (Nashik)-Hindon and Tirupati-Hubli-Hindon, as mentioned in a report in the Times of India. According to the daily most of these new flights will be operated by IndiGo and a couple of new, small players. Hindon airport belongs to the Indian Air Force (IAF) and the Airports Authority of India (AAI) has developed the civil enclave there. According to the AAI, the civil enclave, which cost around Rs 40 crore, can handle 300 passengers during peak hours.